This page is full of places for you to JUMP TO and to learn about. The internet is a great place to visit but the first rule is to STAY SAFE! There is a game that you can play first. It helps to teach you about how to use the internet safely. To play the game visit the WILD WEB WOODS and have fun! If you find the game a bit difficult ask an adult for help. 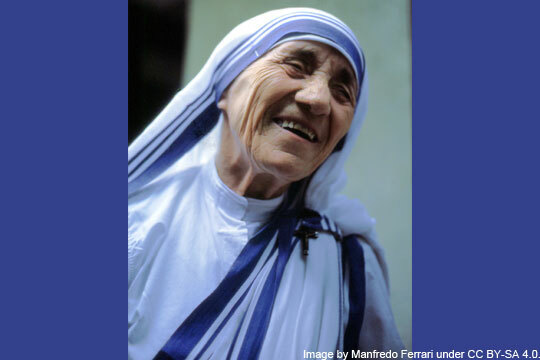 This is where you can find out about Mother Teresa, who did wonderful, brave work in caring for the poorest and forgotten, but if there’s one thing she would want you to remember about love, it’s that you don’t have to travel to foreign countries to practice the virtue of charity. In fact, love has to start where you live. Have a look at her story here. Enjoy your visit, safe journey! And where will we JUMP TO next time?